In today’s post, I want to share the top 10 things your upline doesn’t want you to know about network marketing until after you join. I’m not hinting that uplines are bad or that they want to keep information from you. Instead, these are just typically things you will not hear about until after you sign up and join the company. These are just my opinions, based upon my 12+ years experience in the industry. Let’s get started. 1. There’s a good chance you will quit within 90 days. Most of the people who join your team will be gone within 90 days. Some will quit even sooner. Many will enter the Witness Protection Program within a day or two after they join. A few will stick around six to twelve months and only a very select few will stick with you for the long haul. Where you fall into those statistics is your own personal choice. Contrary to what many people think, this is not a get rich quick industry. It requires lots of hard work to succeed, just like any other business venture. Learn more about the failure rate in MLM. 2. He makes more from his system, affiliate products, and information products than he does with his company. Most top earners make more money from their systems, training and lead services than they do with their MLM Company. These leaders are smart to have multiple income streams. When your upline starts recommending things, make sure you know if he is profiting from what he recommends. It isn’t bad if he makes a profit on certain things he recommends, he should just disclose that to you upfront. 3. Most people will not do what they are taught. Most people on your team (and you yourself) will never do what they are taught to do. People will pay to learn how to do something, but they will very seldom ever go out and apply what they just learned. It’s just human nature. Application always trumps theory. You can study until the cows come home, but at some point you have to roll up your sleeves and do the work. You can’t think your way to success in this business. 4. Most compensation plans are designed for the heavy hitters. 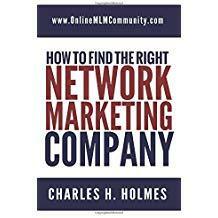 Most MLM Compensation plans out there are designed for the top 3% earners, the heavy hitters. Until you reach that level in the pay plan, you won’t make much per distributor in your team. Unfortunately, most people in network marketing are part-timers, so they don’t earn much. That’s why it’s so important to find a balanced compensation plan that rewards the part-time and full-time distributors. 5. 90-95% of the people in the industry are part-timers. Most of the people in this industry are part-timers and most of them will stay that way. Most part-timers do not make enough to go full-time and they do not work enough to go full-time. Since the plans are designed for the heavy hitters, most part-timers will quit, jump ship or do very little. 6. Unless have you multiple streams of income, you are doomed from the beginning. 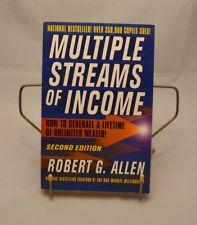 All top earners have multiple streams of income. The real money is in the systems, the leads and the training. That’s why you need to promote these things, along with your MLM Company. You need a You, Inc. type business. 7. The internet is NOT a system. The internet is not a system. And it’s not the solution to your challenges either. It is simply a vehicle. It takes most people several YEARS to figure out internet marketing. Taking your business online is smart, but it won’t solve your problems. Until you learn MARKETING, you won’t get very good results online either. If you want to build your MLM online, here is the right way to do it. 8. Bugging friends, family and strangers is a complete waste of time. Most top earners started out by working their warm market, but then quickly diversified. However, most people in network marketing get horrible results working with their warm market. And because they do it the wrong way, they can even end up ruining some of these relationships. If your going to contact your warm market, do it the right way and lead with the products. When it comes to growing your network marketing business the smart way, you want to focus on your target market and focus on people most likely to be interested in what you have to offer. 9. Most people are not in your TARGET MARKET. This is so true. The guy at the grocery store you are prospecting is not in your target market. Neither is Aunt Sally. Your target market is (1) people who want a business of their own or a Plan B, (2) other network marketers and (3) people who will use your products. Never waste your time or money advertising to people outside of your target market. All successful businesses have a clearly identified target market and they focus their time and marketing budget on reaching that target market. 10. You HAVE to spend money on advertising to succeed. From day one, you should spend money to advertise and market your business. It’s vital. Don’t be one of the folks who want something for nothing and won’t invest any money in your own business. You have to invest money before you make money. That’s how business works. Don’t tell me you will invest money after you make money. I find that very insulting. Instead, treat your business seriously and advertise. People always find money for things that they think are important. Learn the right way to advertise your business. In summary, these are my top 10 network marketing tips that your upline doesn’t want you to know. If I could give you one final piece of advice, it would be to look at what the 97% of the people in this industry are doing and do the complete opposite. Study the most successful people and do what they do. You will be glad that you did. What are your thoughts about all of this? Leave a comment below to let me know what you think. Chuck, I am proud of you. Most network marketers would never be so blunt and honest. This is how the attitude and the reputation of MLM can be changed. Thank you. I am a firm believer in multiple income streams. If you were to look at all highly successful business people, they do not rely on just one stream of income. They invest in many different thoughts and ideas. By doing so, if one is on a downhill slope, another is on an upward climb. I also agree with the spending money on advertising. While word of mouth may gat you some business, it will never attain high amounts . A person must advertise to their target market. This was a needed post and one that all people interested in MLM should read. If more people got the truth and the facts upfront, the rate of people dropping out would probably decrease quite a bit. Many people feed into an ideal about what life in MLM will be, and when the reality fails to meet their expectations they are disappointed and quick to quit. People avoid sharing this information to try to get as many people involved as they can, but what is the point if half of those people end up leaving? This is information I definitely plan to share. I believe in being honest with people. Honesty goes a long ways! I’m glad this post could help you out Tristan. The internet is great for building and generating business but it certainly does not run itself. You can’t just throw information out on the web and expect great return. Even traditional marketing and internet marketing are two completely different beasts and you need to learn the tips and tricks to use the internet as an effective tool for your MLM. Yes, you need to combine high tech with high touch whenever possible. So true … most people that you meet are not in your target market. Don’t approach each and every single person that you know about your opportunity, or you will just get the reputation that you are nothing but annoying, and then even those who might fall into your target market will avoid you. Instead, just put it out there that you do what you do, share your knowledge, and then let those who know you come to you. Spend your advertising money on complete strangers in your target market. It will be money well spent. Focusing on your target market is one of the best things you can do!